Ferguson & Associates has long relied on its ambulatory practice as the backbone of the practice. We provide a broad range of services where you need them most—whether that’s the backyard, the training center, the racetrack, or the sales grounds. 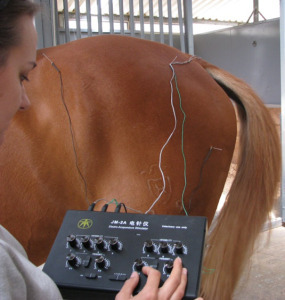 We deliver unsurpassed care in diagnostic radiography, lameness, pre-purchase, reproduction, shock wave therapy, ultrasonography, wellness, and acupuncture. Ferguson & Associates offers on-site, as well as in-hospital, radiographs, using digital technology. We can radiograph virtually any joint on location and view the image stall-side, before making a final diagnosis on a larger screen in our imagery department. Should you need a CD of the digital images for your records, an upcoming sale, or a prospective buyer, we can readily provide it, along with a written report. Diagnostic Radiography is one of our specialties. You won’t find a better team of experts OR a lower price for digital X-rays. 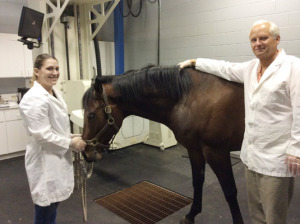 Dr. Ferguson and his team are known for their unsurpassed expertise in lameness. 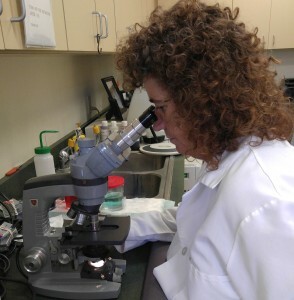 It’s more than a science — it’s also an art. 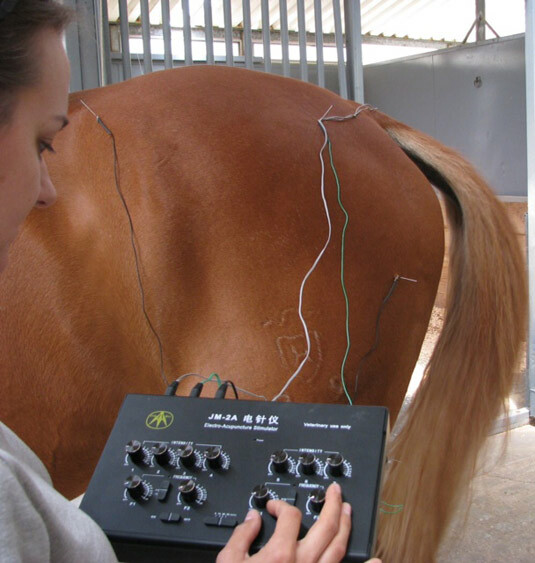 A lameness exam isolates pain or discomfort, with the goal of alleviating it and allowing the patient to resume normal activity. When we are unable to isolate the source of a problem with radiographs or ultrasound, nuclear scintigraphy (more commonly known as bone scanning) can help. 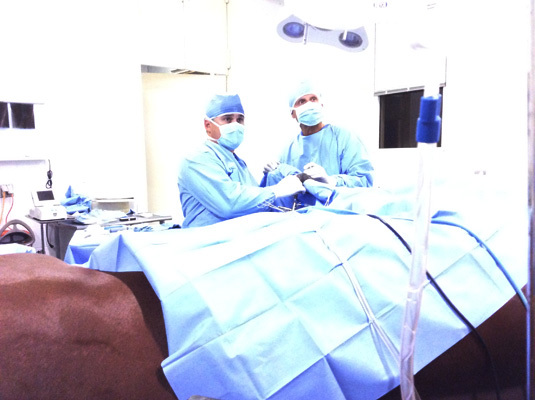 It allows us to see metabolic activity in soft tissue or bone, rather than anatomy. 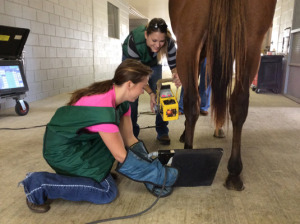 With an in-house scintigraphy facility, Ferguson & Associates can image the entire horse within a few hours, and then use other diagnostic tools to confirm issues identified by areas of increased metabolic activity. 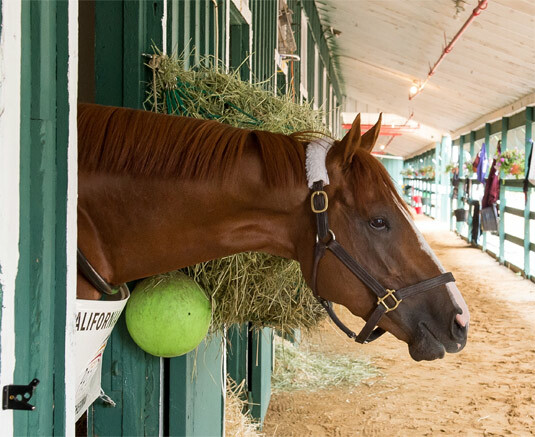 Ferguson & Associates is pleased to extend their services to the racetracks. We deliver unsurpassed care in diagnostic radiography, lameness, pre-purchase, shock wave therapy, ultrasonography, wellness, and acupuncture. Our racetrack staff is backed up by an in-house laboratory, pharmacy, surgical department, scintigraphy facility, and office support. And each member of the team appreciates your trust and every chance to maintain it. 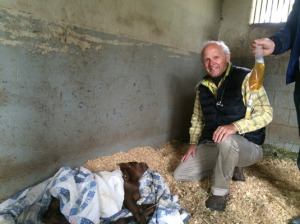 With the goal of a robust foal, Ferguson & Associates helps ensure a healthy stallion, a healthy mare, ready conception, and ease of birth. Ferguson & Associates is pleased to serve your pre-purchase and post-purchase needs at sales throughout the country. 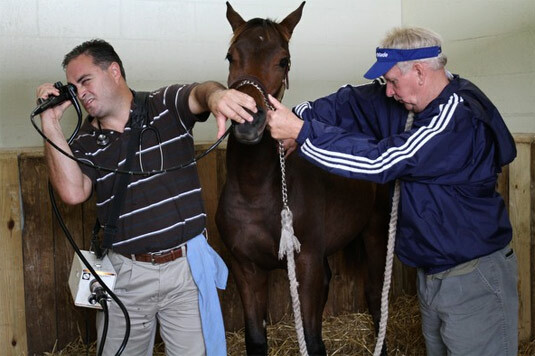 Whether you want an endoscopic exam, a full digital survey of the horse for sale, a partial survey, somebody you trust to read the existing film, a pregnancy exam, or a complete physical exam, we can do that. 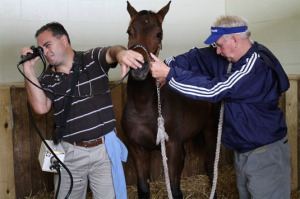 Ferguson & Associates offers shock wave therapy as a means of speeding up recovery to minimize down time. It acts to increase circulation, as well as stimulate bone cells and neurotransmitters. Ferguson & Associates uses ultrasound equipment in the field, as well as in the hospital. Ultrasonography allows us to view and evaluate soft tissue in order to diagnose pregnancy, disease, injury, and abnormality. It also allows us to monitor pregnancy and improvement.